I’m so excited to carry DIY Paint by Debi’s Design Diary. It is a fabulous highly pigmented chalking paint for your furniture. It is sold at my BOOTH R4 at the Antique Gallery at 21127 Spring Towne Drive, Spring, Texas 77388. Open Daily. I also teach classes monthly with this paint. This paint has been made famous by Dionne of the Turquoise Iris. Here is a pic of a chest that I painted with this paint. Stop on in and buy some of this delightful paint; available in many fun, delicious colors! Where does the time go! Thanksgiving and Christmas is just right around the corner! Are you stumped for Thanksgiving decorating ideas, check out this article in Country Living magazine. I especially like #37. I actually created several of these signs for my booths and they are selling. Read the article to find out what sign it is. It’s so exciting when you are featured in a local online magazine! In this month’s edition of Voyage Houston, there is an article about Susanna of Dussling Fine Finishes. Susanna shares her journey of her business, including the many ups and downs. Happy Reading and please share with others. Are you looking for Farm and French Country Furniture and Home Decor? Take a look at this video For Sale Furniture. Would you like to purchase one of these pieces, please send me a message and we will send you a Square Invoice. Yes, we do shipping or deliver for an additional charge. Hope and Happiness Vintage Furniture is in the process of being re-branded. Since, we specialize in high end custom artistic furniture, it was time to update the logo to reflect the new feel of our company. We are excited about the future. 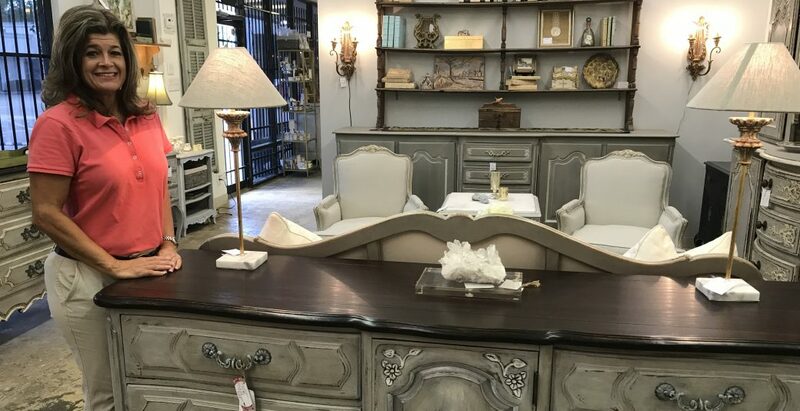 Since our humble beginnings as furniture flippers on Craigslist, we have expanded with lots of custom orders, furniture painting classes, and 3 mini boutiques within the far northwest corridor in Tomball, Spring, and Magnolia. Not only do we specialize in furniture refinishing, we now carry Farm and French home decor within these boutiques. We also expanded into onsite work to include furniture refinishing, cabinets, doors, islands, and fireplace mantels. Occasionally, we will have a presence at one of the local vintage shows. Lastly, we continue to grow our online presence. New website with built in shopping cart coming real soon. Yes, we are busy. We could not do it without you! Thank you. However, if you would like to see what I am currently doing with my amazing furniture business, please go to my Facebook page Hope and Happiness Facebook Page Furthermore, you will see recent pics of completed furniture makeovers. My Facebook page is where everything happens. Yes, I also post current paint classes on my Facebook page.